A Grade and C Grade, 1st Round on Saturday, 11 May 2019. A Grade and C Grade, 2nd Round on Sunday, 19 May 2019. B Grade, 1st Round on Sunday, 12 May 2019. B Grade, 2nd Round on Saturday, 18 May 2019. 1st Round either on Saturday, 18 May 2019 or Tuesday, 21 May 2019. Off the 1st tee for Saturday, and either the 1st or 10th tees on Tuesday. 2nd Round on Thursday, 23 May 2019. 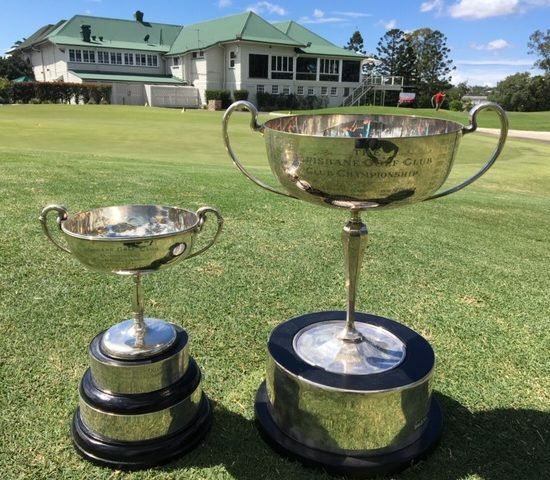 The timesheets for all rounds will open on Saturday, 20 April 2019 for members playing in the Club Championship. Play will be in Groups of 4 within each Grade at 9-minute intervals on the Saturdays and Sundays of qualifying, and 8-minute intervals mid-week. The Yeerongpilly Course will be used for qualifying. The Championship Course set up will be used for match play competition. i.e. Holes 10, 11, 12, 13, 14, 15, 16, 5, 6, 3, 4, 17, 2, 7, 8, 9, 1, 18. Quarter-final matches to be played on Sunday, 26 May 2019. Semi-final matches to be played on Sunday, 2 June 2019. Championship finals to be played on Sunday, 9 June 2019. The H.W. 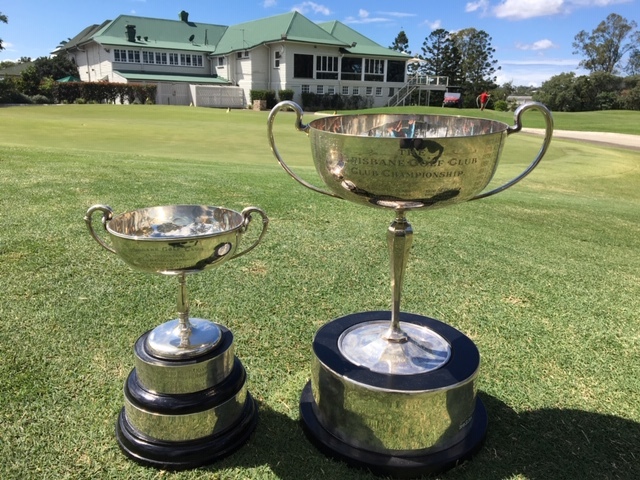 Herbert Junior Club Championship Matchplay dates will be Sunday, 1 September 2019 (QF), Sunday 8, September 2019 (SF) and Sunday, 15 September 2019 (Final). Mens A.H. Colledge Club Championship 36 hole gross qualifying. 36 hole gross matchplay. Life, Full, Senior, Provisional, Transition and Junior. H.W. Herbert Junior Club Championship 36 hole gross qualifying. 18 hole gross match play. Juniors who are under 18 at age of 1 January 2019. Senior Club Championship 36 hole gross qualifying. 18 hole gross match play. Life, Full and Provisional Members who are 55 years and older on qualifying day. A Grade Plate 36 hole gross qualifying. 18 hole gross match play. Life, Full, Senior, Provisional, Transition and Junior with a daily handicap of 5 to 11 as at 8pm on Friday, 10 May 2019. B Grade Club Championship 36 hole gross qualifying. 18 hole gross match play. Life, Full, Senior, Provisional, Transition and Junior with a daily handicap of 12 to 18 as at 8pm on Friday, 10 May 2019. C Grade Club Championship 36 hole gross qualifying. 18 hole gross match play. Life, Full, Senior, Provisional, Transition and Junior with a daily handicap of 19 to 36 as at 8pm on Friday, 10 May 2019. Byneset Trophy 18 hole nett qualifying on Sunday, 5th May 2019. 18 hole nett match play. 6 day Members. 18 hole nett match play Life, Full, Senior, Provisional Members who are 60 years and older on qualifying day. Ladies Club Championship 36 hole gross qualifying. 36 hole gross matchplay (Final only) Life, 6 day, Full, Senior, Provisional, Transition and Junior. 18 hole gross match play. Life, 6 day, Full, Senior, Provisional, Transition and Junior with a daily handicap of 19 to 29 as at 8pm on Friday, 10 May 2019. 18 hole gross match play. Life, 6 day, Full, Senior, Provisional, Transition and Junior with a daily handicap of 30 to 45 as at 8pm on Friday, 10 May 2019. All ties in qualifying will be decided by countback. Motorised carts cannot be used for those players wishing to qualify for the A.H. Colledge Club Championship, Ladies Club Championship and the H.W. Herbert Junior Championship. All matches to be played on the day scheduled. Players who qualify for more than one event must inform the Match Committee on Sunday, 19 May 2019 their chosen event. Draws will be available on Monday, 20 May 2019. Players must qualify on the days nominated for their grades, failure to do so will make a player ineligible for match play rounds. Players on the cusp of a daily handicap of a grade it is your responsibility to contact Match Committee or Golf Shop to manage your particular situation. Distance measuring devices are allowed but must not be able to measure elevation, wind, temperature or other environment factors in accordance with the Current Rules.